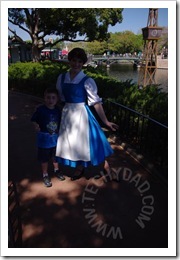 On Friday, while B attended Disney Social Media Moms sessions, I took the boys hunting: autograph hunting. 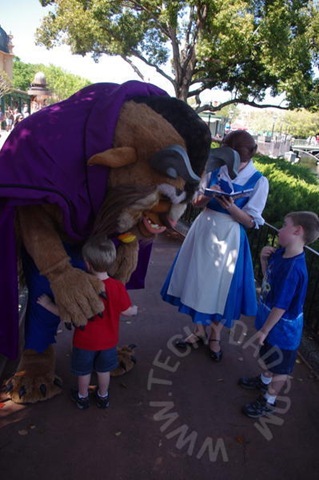 Specifically, we were after the Beast’s autograph. NHL has been itching to get Beast to sign his autograph book for quite some time. 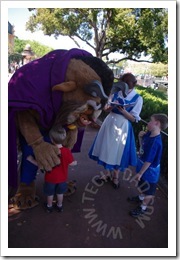 I did my research pre-Disney and found out that Beast hangs out in the France section of Epcot. 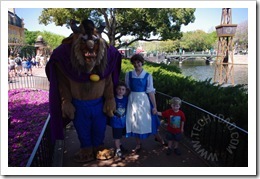 So off we went to hunt the Beast(‘s autograph). 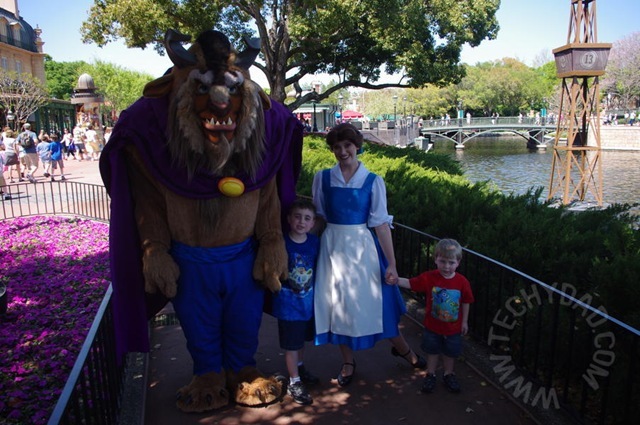 When we got to France, we saw Belle, but no Beast. Undaunted, NHL charged ahead to capture her autograph. 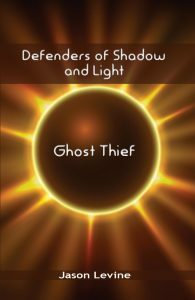 For some reason, though, JSL turned timid. He refused to get out of the stroller and didn’t want Belle coming up to him. She was very nice, took photos with just NHL, and signed his book. We went off to find other characters/autographs and eventually decided to head back. We heard that Beast was coming soon and waited for him. During the wait, JSL declared that he was brave and was going to say hi to the Beast. Sure enough, when Beast arrived (and when it was our turn), JSL walked up and hugged Beast. 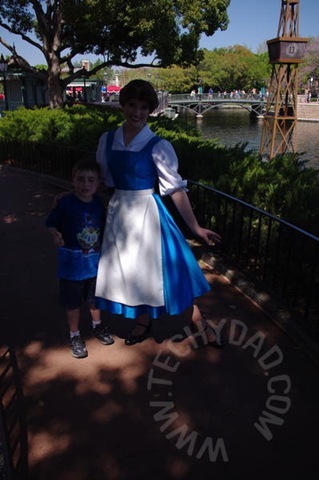 At this point, Belle showed that she was a shining example of Disney class. It was over 45 minutes after our first encounter, but Belle remembered my boys. Not only that, but she remembered that JSL was afraid of her before (and noted to Beast how brave he seemed now). Even more impressive, she remembered their names. Now, I’m sure that Disney Characters see a lot of kids every hour. For Belle to remember my kids names after that time is just one example of Disney’s commitment to class. Disclaimer: We got Disney World accommodations and park tickets as part of our Disney Social Media Moms package. This (or any other blog post) were not required as part of Disney Social Media Moms and are my own experiences and opinions.